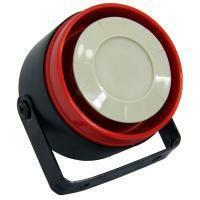 LD-82 Piezo Alarm Sounder is a popular audible signaling device for alerting over large area. The small siren has different types of mounting plates available for mounting onto panel, vehicles, equipment and so on. Sturdy casing makes it water & UV resistant, suitable for outdoor environment. Can be made in different color to match your device.